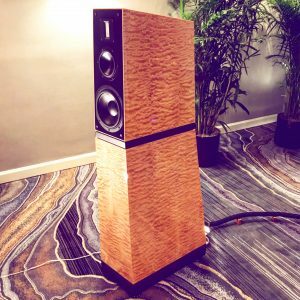 The Rocky Mountain Audio Fest 2017 was a great time for all in Denver this year. HFS “went big” with two separate rooms, one a big suite and the other a large ballroom on the ground floor. 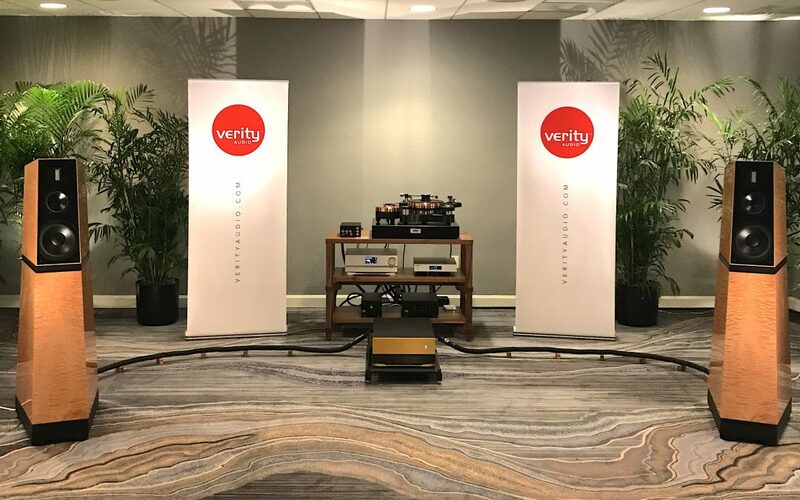 Our efforts combined with our associates from Neat Acoustics and Verity Audio produced two great sounding systems in two remarkably different price regions. So there was something for everyone thanks to HFS and our rooms. 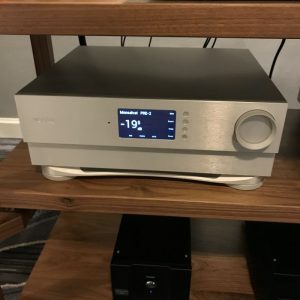 Atrium Suite 535: moderately-priced system featuring AnalogueWorks, Audia Flight, Neat Acoustics, Signal Projects, and Vibex. 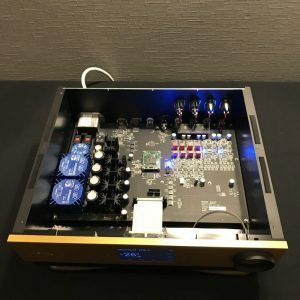 “The Verity Audio Monsalvat Pre-2 preamplifier is very interesting. Not only is it a DAC/preamp that can decode PCM up to 32/384 and DSD up to 256; it also takes the phono source in as an analog source and converts it to digital and then converts it back to analog before it goes into the line stage portion of the preamp. I would have never believed this could work, but it worked magnificently.” Yup, Jack has ears not easily fooled; the PRE-2 (and it’s bigger brother the PRE-6) are capable of such resolution that die hard analog lovers almost could not believe the TW Acustic analog front end wasn’t feeing a “pure analog” signal to the mighty Lohengrin IIS loudspeakers. Jim Hannon of The Absolute Sound also took a moment to stop in during his busy show schedule. 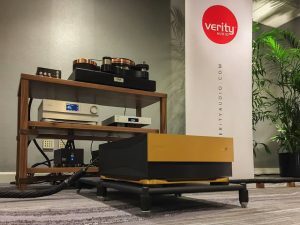 “Verity Audio was showing its new Monsalvat AMP-60 ($58k) and Pre-2 preamp/DAC ($35k) to drive the lovely Verity Lohengrin IIS speakers in a system from High Fidelity Services. 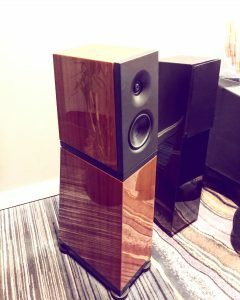 ” Jim has also expressed interest in Verity products including the brand new Otello loudspeaker. We hope to see a pair in his home for evaluation soon. Verity’s mighty AMP-60 with the PRE-2 digital and TW Acustic analog front end in behind.